From the onset of times the human beings showed the want for more. The woman was enticed by what God asked her not to touch. For the first man and mannin the Tree of Knowledge of Good and Evil, in the middle of the Garden of Eden, looked so attractive because they knew it could give something they had not yet. They too wanted to have knowledge of good and evil like their Creator had. They longed for having as much knowledge and power as their Divine Maker had. This is their greed, because they had everything what a man needs. Everything was provide for by the Most Highest. Though the thoughts of the man and mannin, Adam and Eve, was preoccupied with gain. They thought it could well be that God hold something hidden for them, which they too could use. As such they did not trust God and showed how they wanted to come on the same level as Him and that they wanted ore than He had given them. The giving in to the temptation (the nachash) was bringing them to mutiny, revolting against their Divine Maker. It is that revolt against the Divine Creator that still bothers mankind today. Today also the preoccupation with material things rather than intellectual or spiritual things brings people further away from God. Having received the knowledge of good and evil each individual should know what is good and what is bad. People who have come to the Christian faith for sure should know that when they are preoccupied with material things, that would be definitely wrong. We do not say that you as a Christian may not have your own house, a car, a television or hifi set. There is no objection against having material things, but the obsession with acquiring and caring for “stuff” is a dangerous thing for the Christian. Already in the Garden of Eden God gave a signal that He wants an intense connection with man. Man’s thought should go in the first instance to its Maker. After man got expelled from the Garden of Eden God insisted still to have a pure connection with Him, not giving more attention to material objects or subjects, not having idols placed in a higher ranking than the God above all gods. Man has to be careful how he treats others and how he gives attention and obligation or glorification to others. Any preoccupation, obsession or fascination with anything other than God, man should know, is something what displeases God. He wants us to love us above all persons and above all things. It is with all our heart that we should give honour to the Most High. Jesus called that love for God the first and greatest commandment. (Matthew 22:37, Mark 12:30, Luke 10:27). All our passion and prayer and intelligence should go in the first instance to Jehovah God. When we do that we shall be able to find life. therefore we should be very careful and attentive into what we put our energy and for what we want to strive. It is what is deep in our heart that God knows. He knows what we rally want and wherefore we long. In our heart should be the choice for God and not for material things. The Elohim, Jehovah God should be our focus. Our eyes should be directed on Him. He alone is worthy of our complete attention, love and service. To offer these things to anything, or anyone, else is idolatry. We should recognise that when we are wanting for other things than those which are important in the Eyes of God, than we fall for the weakness of man. It is true, man is caught up in the cares of the world and the deceitfulness of riches and the desires for other things that have entered this world and choke it. But we should know that the material gain the world wants us to believe would make us happy, is just an empty soap bell. We should not be fashioned according to this world, but should listen to the words of the sent ones from God, like to Jesus Christ, and follow the examples of them, living in humility and simplicity, always following not our will but the Will of God. We must come to see that the word of material wealth proves unfruitful. We are cheating ourselves by thinking that we will be happy or more fulfilled or content if only we had more of whatever it is we are chasing. This is a lie from the father of lies, satan, which every adversary of God still wants us to believe today that we better not believe in God and try to earn as much money as possible in every way we can. Many are using bad ways to gain capital and do not mind what others may think of it or worse what God might think of it. Though for sure God shall take it into account. One day there shall be a moment of judgement for man. Then it will be time to justify for the actions that one has taken. Those adversaries of God wants us to be chasing after something they know will never satisfy us so we will be kept from pursuing that which is the only thing that can satisfy — God Himself. Many are blinded by those satans and do not come to see that the financial gain or the material wealth is the mammon, the killer of mankind. All should know that one cannot serve both God and money. When we put our eyes on that material gain we shall be deceived and disgusted to continually feeling dissatisfied, never feeling contented. We must seek to be content with what we have, and materialism is the exact opposite of that contentment. It causes us to strive for more and more and more, all the while telling us that this will be the answer to all our needs and dreams. The infallible Word of God sheds light on how human beings best live and unto what they best give attention in their life. That life does not get its satisfaction in the abundance of the things which a person can come to possess. Man’s eyes should be focused on that what is much more important in life than the treasures of this world: the Kingdom of God. Be aware that whoever loves wealth shall never be satisfied with his income. Perhaps it can take a long time before we come to such awareness. In the end, Solomon came to the conclusion that there is one greater thing we do have to bear in mind. Thingamabobs? I Got Twenty… I Want More! The Price Of Keep Wanting More. When Does It All End? ‘The power of greed’: Greed is one of Christianity’s seven deadly sins, and it predates capitalism. In our society, who is greedier – the consumer or the capitalist? Are there any positive aspects to greed? Rich Toward God While they may not be mutually exclusive, if we are honest with ourselves, they frequently are in competition. Pursuing possessions on earth often has a way of cutting into laying up treasures in heaven. Today the church has become simply an unavoidable obligation for some and yet others stopped attending long ago. In a lot of families it is far to look for God. Some call themselves Christian but there is not much to see of. Their way of living does not represent anything in accordance to the teachings of Christ Jesus. Others proclaim that they love Jesus their God while we would say that they love the son of God more than the real and only One God. Because non-trinitarians do not want to accept Christ Jesus as God a lot of so called Christians say they are not Christians, though those non-trinitarian denominations do keep more to the teachings of Jesus than the others. We do teach our children who God is and what a marvellous gift He gave us. We show them that they are God’s beloved creation and that their failures are real because there is a real reason for earthly failures and sin. We get them to know the position of Jesus who really died, while the others who believe Jesus is God seem to forget that the Almighty can not die. Centuries ago it was because the church leaders were more interested in their power in this world that they went astray of Jesus teachings. Also today those churches are still more interested in the things of the world and do not often bring real Bible studies into their services. Some Christians say that today, we have the methods of science to take the place of faith and prayer. That we can rely on science now to cure many diseases, extend our lives, solve fertility issues, solve emotional problems and understand how the universe began. For them it is clear that we have begun to see we can rely on ourselves for answers instead of God. As our knowledge doubles every 20 years or so, soon, there will be little left for God to do. Though the Christians have the same patriarch as the Jews and Muslims lots of them forgot the writings and teachings of the next of kin and prophets who followed this mans footsteps. The people of Israel, “The Chosen People,” were singled out by God in order for him to reveal himself to his people and the world and to reveal the path to righteousness. 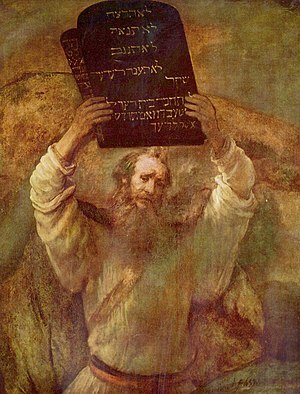 Abraham, Isaac, Jacob and Moses are probably the most important figures in the Jewish Bible (Torah). God had given His blessing but also His Word to the next generations. All could get to know Him by reading the scrolls. Through Moses a covenant was made between God and his chosen people that should they obey his commands and remain steadfast in their obedienceand love to him, he would remain their God and blessing would pour out upon them. But as can be expected, “The Chosen People” proved to be a rebellious people much like all of humankind. In the first century of our common time table several Jews recognised in Jesus this promised Messiah. They kept considering themselves Jews, as Jesus also was a Jew. Today we find certain churches were they preach that the Jews killed the first Christian, though Jesus was never such a Christian they say a Christian is. The Jew Jesus was persecuted as later on many more Jews were being persecuted. 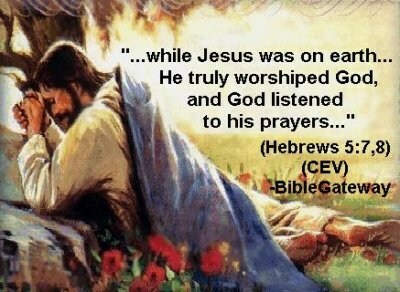 For Jesus as for the Jews in general God was and is a holy God worthy of all praise and worship. There are other god’s then the Most High but there is Only One Almighty God of gods Yahweh or Jehovah.Some people think there are many names of that God, but they misinterpret the titles of that One and Only God, Elohim whose name is Jehovah. Though there is a rich history in disagreement between the varying sects of Judaism, there is an equal amount of dedication shown to their faith. Judaism is also the only faith that does not seek to bring in new members. ( Spirituality and religion part 4 – Cincinnati Spirituality | Examiner.com http://www.examiner.com/spirituality-in-cincinnati/spirituality-and-religion-part-4#ixzz1QXjrGysY) But the Jew Jesus found it important that as much people as possible would be brought in front of the Lord of lords. 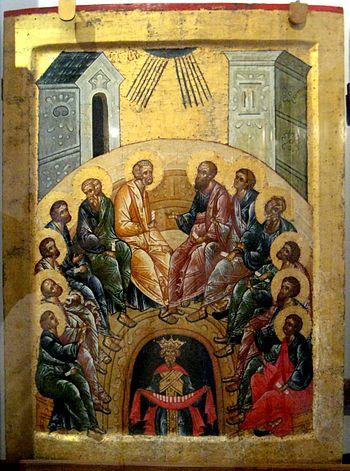 The son of God, Jesus of Nazareth, had come into the world by the Power of God (the Holy Spirit) to save us and to become the mediator between God and men. The Bahá’í believe that God’s nature cannot truly be known because of our finite knowledge and capacity for understanding God’s infinite nature. But they do believe we can at least see him through his attributes which can be found through his various creations. 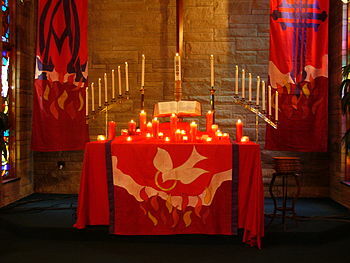 ( Spirituality and religion part 5 – Cincinnati Spirituality | Examiner.com http://www.examiner.com/spirituality-in-cincinnati/spirituality-and-religion-part-5#ixzz1QXku1zx0) It are those attributes of God we have to take at heart. They can give us the full picture of the Most High omnipotent. Getting to know the different features of a human being, man, woman, Jesus shall shed a light on the difference to God. Than they shall see that the Bahá’í claim that we all believe in the same one God, though different religions may call him by different names such as Jehovah, Yahweh, Allah and the like is not such a bad claim, and would take away the arguments going into fights between the different groups. Bridget Niece of the Northern KY Spirituality Examinerw rites that The Christian faith is a label used to indicate an individual’s faith in Jesus Christ. That faith can take many different forms. She therefore defines Christianity as faith in biblical teachings and belief in the atoning death of Jesus Christ the son of God. The reason this definition is necessary is that there are some who claim to be Christians who do not believe that Jesus is the son of God or that he was much more than a prophet at all. That does not define a Christian and would require a different title. There are enough variations within the biblical faith of Christianity to fill ten articles, let alone one.